One of our goals for the year was to make soap and not buy any for the rest of the year. Well we thought that it was appropriate to begin on Australia Day and we had a great time on our urban farm. However it probably wasn’t the same sort of celebration that everyone else participated in. No BBQ, no beach trip, no parade. Just two wonderful things. Soap Making, and Cheese Making! So we embarked on the giddy world of lye, vegetable and essential oils, with half a hand of botanicals thrown in. We bought a cold press soap kit from Simply Natural Soap Making Supplies for $45 that had everything in it to make the first 20 odd bars. I am a bit of a kit bloke, mainly because I like to have everything supplied to start with and then find the cheap alternatives afterwards. This is similar to my cheese making hobby. I started off with a simple kit and it grew from there. 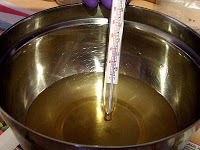 There are two types of soap making methods that we researched, melt and cold press. We choose cold press because you do not have to keep going back to a specific supplier to get the necessary ingredients. Most of them you can buy from local suppliers, like the supermarket in the case of oils and the lye, or caustic soda from the hardware store. Here is the process we followed. Firstly, make sure you have your recipe and ingredients all together and lay some newspaper on your bench-top to stop any mess. 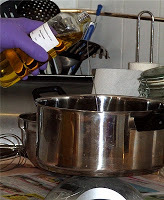 Weigh all your oils and place them in an old stainless steel pot. We bought one from the op shop as well as a spoon and tray to place the mould on. 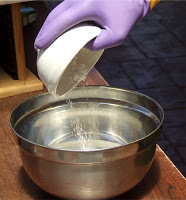 Measure the water and weigh the caustic soda in separate containers. Do not mix them yet! Put on your gloves, goggles, and apron. Caustic soda is very corrosive and will burn your skin if you are not careful. You can use a face mask if you wish, however I mixed the caustic soda and water outside and therefore negated any fumes during mixing. Heat your oil on the stove to 50-60C. Caution: Then slowly pour the caustic soda into the water. NEVER, EVER POUR THE WATER INTO THE CAUSTIC SODA AS A VIOLENT REACTION WILL RESULT. I don’t want you to hurt yourself. It is quite save if you do it the right way. Also beware that once mixed correctly, it gets up to about 75C all by itself. Carry the lye mixture carefully. Now you can mix your lye into the heated oils. Stir the mixture until it reaches trace. Trace is when it looks like runny custard and you can pile a little on top of the surface and it stays there for a few seconds. Now, depending on what you mix it with depends on how long before you reach trace. I started off with a whisk and after 10 minutes had enough and broke out the stick blender (immersion) and it took about 5 minutes. Make sure you give the blender a rest every minute to avoid burning it out. We got a bit excited and went past trace to a thicker stage. As it was our first go, we expected a few glitches. We then added the essential oil, china clay for colour, and rose petals for prettiness (Kim insisted). 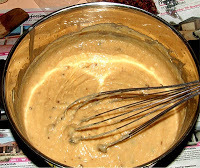 As we were well past the pouring stage, we had to use an old spatula and fold in the ingredients. 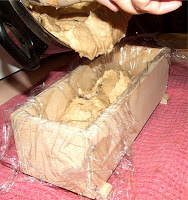 I then scraped it all into the mould that came with the kit, which we lined with cling wrap to stop it from leaking out. In hindsight, we probably didn’t need to do this. 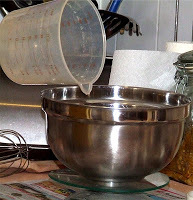 You can use any silicon cake mould or even a 1 litre cardboard milk carton. Just make sure that any mould you use is sprayed or wiped with oil before you pour in the soap or you won’t be able to get it out cleanly. 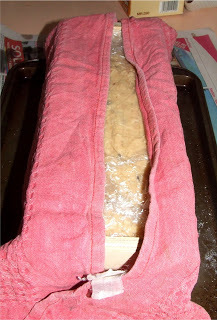 Wrap the mould in an old towel so that it cools slowly. Leave it in the mould for at least 24 hours or up to 48 hours depending on how thick your trace was. Break the soap out of the mould. It will be quite soft, but will harden as it dries. Kim cut the block of soap into 11 bars and said it was quite easy and was like semi soft butter or the flesh of a melon. Our instructions say to leave it to dry on a rack for at least 4 weeks and to turn each block over daily. I have read on other blogs that the longer you leave them to dry, the longer the soap lasts when you are using it. When you walk past the laundry where the soap is drying, you really get a wonderful fragrance waft up your nose. Not the over powering type when you walk past the perfume counter in a department store, but a nice soft smell. I can see that soap making will be as addictive as cheese making. Kim will be doing all of the chemistry next time, with me doing the supervision! We are going to make a basic soap next time with oatmeal in it, and maybe a different colour. As soon as we were finished, Kim went on-line and bought some more essential oil and a 5 litre bottle of coconut oil. We will never be using Palm oil again and will be substituting it with Rice Bran Oil. You can use many different types of oils using the cold press method but you will need a soap calculator to determine how much water and lye you will need to use because each oil have different properties that you have to take into account. Here is the link to a good calculator which also determines how hard or lathery your soap will be. Just follow the sequence and have a play around and you will be amazed at the combinations you can use. Well I hope you enjoyed our little soap making expose. It was great fun to make, and reminded me of chemistry class back in high school. The lye was quite easy to mix, just give it the respect it deserves and be careful. Kim was paranoid about the lye part, but once she saw how careful I was, she got into the swing of things. Other than that part, the rest is a breeze. Even washing up is fun, because everything is self soaping! 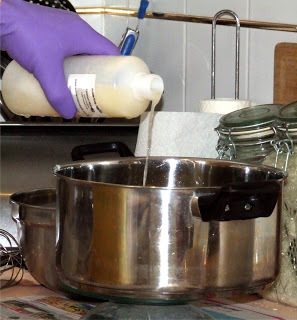 Kim and I now teach soap making workshops in our local area and have started a simple living business where we sell our own Soap Making Kits and supplies. You can check our product range out at Little Green Workshops. 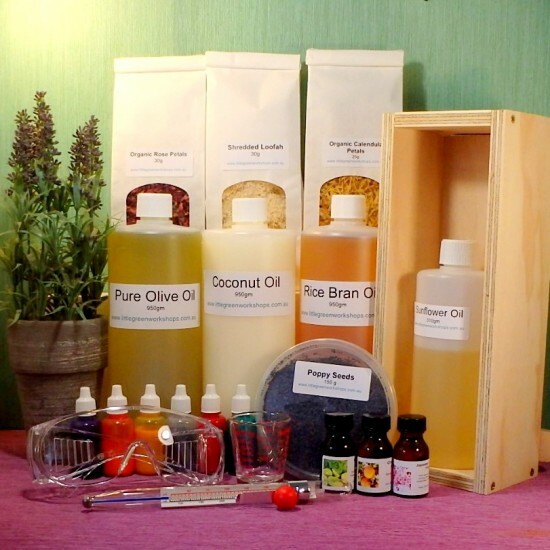 Here is one of our soap making kits, the Deluxe Soap Making Kit 3kg. Will this article help someone you know? If so help them out by sharing now! Gavin Webber's daily goal is to live a more sustainable lifestyle, in an effort to reduce his family's environmental footprint so we can all make a difference for our children & future generations to come. Learn more about him here and connect with him on Twitter, Facebook, and Google+. Congratulations on a very productive day! 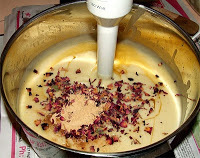 Botanicals (rose petals, mint leaves etc) will turn brown in soap! 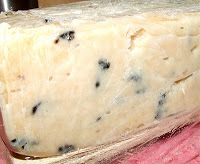 Lavender has a tendency to look like mouse-poo in soap! The only thing that seems to hold its colour is calendula petals, so experiment, or leave your “bits” on the top of soap. Citrus fragrances will need a fixer as the fragrance will tend to fade rather quickly, so you want something lemony or orange or suchlike, try adding a few drops of benzoin (but benzoin can potentially be a skin sensitizer). 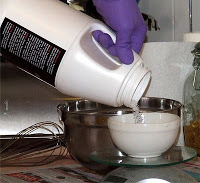 If you want to make your own laundry detergent, you can use the soap you’ve made with some borax, washing soda, and a spritz of two of vinegar. I’ve been doing it so far with soap “ends” I can’t sell and it works a treat! However, you’ll find you make even better laundry soap if you don’t calculate past a 2% superfat (and if that’s sailed over your head, let me know and I’ll explain). I’ll be looking for information on the oatmeal soap. Can you make soap with out lye? The whole caustic aspect of it frightens me (esp since I have kids around whenever I am home). Tree Hugging – you can’t make this kind of soap without lye, no – lye isn’t that scary really, you just have to respect it. What you could do is melt-and-pour, which is basically just melting down a soap base and then embellishing it a bit (however you may need to hunt about for SLS-free bases). I have an autistic child at home, so I understand what you mean, but I just wait until my son is asleep! There’s a great site on making soap http://www.millersoap.com/ I strongly recommending giving that a read. I have been wondering about coconut oil… it is used in many products, but it is a sustainable crop? Should we be only buying coconut oil that has been grown in a ‘sustainable way’ too? Anyone know more about this?? Hi Gavin, I make soap every year for presents (as well as a present for myself!) People love it. I use 1/3 coconut oil for lather, one third olive oil for hardness, and one third macadamia oil for the palmitoleic acid in it, which is supposed to be really good for skin (used to come from whale oil, which is why it was so prized for cosmetics – but maca oil is a much nicer source!) The maca oil adds to the cost, but it is so luxurious and lasts for ages. You’ll become addicted to home-made soap! I’ve been wanting to make my own soap for years but for some reason keep putting it off. This year, hopefully, is the year. I use to use Almond oil in mine instead of Palm oil, on advice from the Naturopath. The Palm oil use to dry out my psorisis pretty bad and inflame it yet Almond oil use to sooth it, go figure, but great job on first attempt! 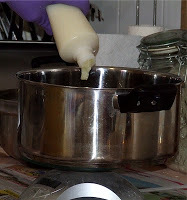 Sometimes for the winter batch I also put a dash of Glycerin in it(put in at the extra’s stage like smelly bits and flowers adding stage) but be careful because the ants use to love eating the soap in warmer weather with glycerin in it…. yummy stuff for ants apparently but lovely soft skin. The glycerin also doesn’t allow much lather in the soap. I had silicone moulds for mine, fun shapes for the kids and pretty shapes for gifts and a basic square mould for home use. Sadly though the only part of the process I would allow the children to participate in was the washing up afterwards as it is too dangerous, but they were most happy with the bubbly mess that it made…..
I’m glad you both had lots of fun making it, it can be scary with all the high temps and corrosive chemicals but amazing how a little heat can calm a storm and the soap ends up being non-corrosive and feels devine on your skin. Try be patient waiting for it to harden, it is well worth the wait, believe me! What lovely soap. 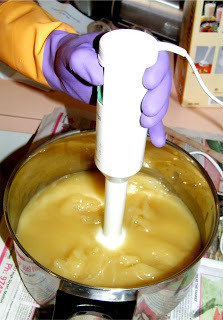 I had a “fear of lye” until I read Rhonda Jean’s tutorial on soap making. THE FEAR IS GONE. I loved reading how you made yours too. And what lovely soap you and Kim made. I am ducking my head as I ask this….what’s all this about Palm Oil? I know I have used it in some soaps I have made and if there is a consensus out there that it is “bad” I really want to know & completely change over to Rice Bran Oil. Fill me in…. Cheese is next on my list. I have been drooling over your cheeses for a while now. I will be signing up for a class to learn SOON & I Can’t wait. Companies are clearing rainforest areas in tropical areas, to make palm oil plantations, such as Malaysia and Indonesia. This is affecting biodiversity of flora and fauna, and most well known is the destruction of primate (orangutan) habitat. I used to do the melt-and-pour soaps many years ago, and always meant to get around to the cold-process style. I put it off because it was fiddly to get all the gear together, but a kit might sort that issue out for me. Thanks for the reminder! Forthose of you worried about various oils you can make soap with 100% olive oil – that’s all I use now because luckily for me I can get it locally. I this case all you need is olive oil, water and caustic – can’t get much easier than that! 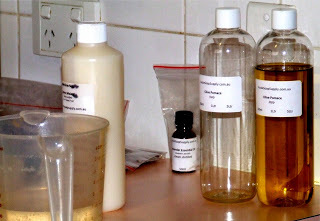 Re: sustainable oils – the best thing you can do unless you get oil locally is be sure to buy from a reputable buyer; shea butter these days is easy to source in fair-trade from Ghana, but one does have to think of shipment miles and so on. You could also render down fat and use lard if you have your own pork, and that works. All the oils I use are ethically sourced, and I have a wide variety of oils I can use, but we all have to make our own choices with how fancy we get and how to do it sustainably. There’s some oils in australia I’d love to try but it’s just too far! Margo: when it comes to superfat calculations, that’s the amount of your oils that doesn’t get saponified; this makes for a bar that doesn’t dry out your skin and isn’t harsh. It is a bit of a fine calculation to not superfat your soap because, err too far the other way and you’re lye-heavy. If you use a calculating programme for your soaps, you can take the ratio of lye to fat to about 35% and that will be even. I don’t tend to go lower than 38% though, and just deal with having to use a bit of vinegar to clean out my machine from time to time. Ok how weird… i think that is my old pot that i took to the op shop 😀 (it’s the odd handles that make me think it used to be mine… my dad screwed in the older handle… if it is my old pot!!) glad to see it getting some love…. i kinda regretted getting rid of it once i started all my “making at home” stuff! Soapmaking is on our agenda this year too. It will be our first try but I’m really looking forward to it although hubby will be stirring the lye, I’m a little scared of it. We live in southern NSW and I’ve been trying to source coconut oil locally, could I ask where you get yours because the only thing I have found so far that is remotely close is copha. THANK YOU Dixibelle and THANK YOU JulieG for the information. I will be more away as I buy more oil. Kym-Anne don’t be afraid. Just have respect like Gavin mentioned. ALWAYS pour lye into water. I wear rubber gloves and bandanna over my mouth and nose for the fumes, but it really is no big deal. Well I am so pleased. Gavin, you have done a wonderful job on your first batch. I hope my instructions were easy enough for you to follow. I’ll hurry up and get your next order away to you. For people that do not want to use Palm Oil (understandably so), I will make up a kit containing – Extra Virgin Olive Oil and Coconut Oil. Check out my other kits as well for more fantastic ideas. – In short, no. All soap is formed when a chemical reaction takes place between fatty acids – Oils – and an Alkali – Sodium Hydroxide, this reaction is called “saponification”. Cold Process Soap Making – which is the technique we are talking about here, is just one way of making soap and probably the most popular. After pouring your soap into your Mould you need to wait at least 4 weeks before using your soap – during this time the soap continues to “Sophonify”. ie. Moisture is evaporated and the soap becomes more and more alkaline as it ages. ie. The caustic component is gone. You can test if your soap is ready by using PH Strips – however as a guide 4 weeks is an average time. Some other recipes using different oil combinations, will take longer to saphonify this is where PH strips are great. As we all want to try different recipes. Also keep in mind that the longer you wait the harder the soap will be and the longer it will last in the bath. ie. It won’t dissolve away in your hands. “Soap making calls for patience”. So, why should we make our own soap? The most important thing to remember that by making your own soap, you know exactly what is going in it….NO NASTIES…..Commercially produced soaps contain animal fats, petroleum products, preservatives and a whole array of unmentionables. No wonder people have bad reations to commercially produced, shop purchased soap. YUK, YUK, YUK. I can assure you that this little hobby – will have your skin problems sorted out in no time and probably put some money back in your pocket as well, because all your friends will want some and you won’t be buying presents any more either. I take much pleasure in customizing my soaps for a variety of purposes and I place a whole lot of importance on Essential Oil Selection and incorporating Aromatherapy (the oil’s properties) into my soaps to create unique bars with a purpose and of course to my family’s preference. I too have 4 young children, I don’t want nasty anything on their skin and I teach them everything as I go, they understand that they can’t touch anything and they watch ONLY. They do however take great pleasure in measuring out the quantities I need to make up the recipe – under my quidance and supervision. I make up the Lye and do all the mixing and pouring, etc. This just takes a bit of planning. Hopefully my children will adopt my ways and continue throughout their lives – learning how to make their own Natural Products for use in an around their homes when they are older. Its all about passing it on. 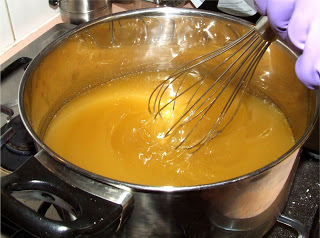 If you absolutely Do Not Want to use Caustic, you might like to try Melt and Pour Soap Making – this is where you quite simply melt down a premade soap base, add your ess. oil and goodies if required and pour it into a decorative mould of your choice. 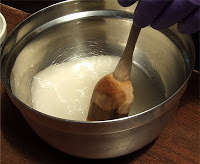 This method of soap making is ready to use straight away and is a very simple method with very little equipment required. I do make a kit for this method as well for people that want to give it a go. Hope this helps all the first timers. I am happy to help. Please be aware that most of the items required for soapmaking can be purchased at your local supermarket. Copha – Is coconut oil for the lady asking this question. People living in remote areas of Australia or just want a ‘one stop shop’ for their soap making supplies – might like to check out my site. Well, all I can say is that I am overwhelmed. Thanks for all the wonderful comments and advice. Since Yvonne has skilfully answered everyone’s questions, I stand by them. I am only the amateur here, and just beginning the soap making journey, so advice from a professional was most welcome! Thanks for dropping by to check out Kim and my baby steps. BTW, we have had an order from a friend in the interior design business for 50 bars of castille soap with fragrances of lime and coconut! Best get cracking. 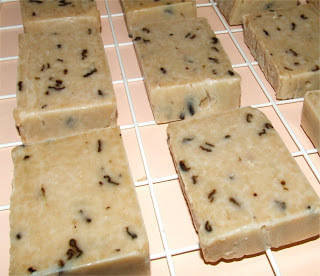 Wow, homemade soap. Fascinating. I never would have dreamed that people do that. My father used to collect scraps of used bar soap by going door to door during the Depression in the US when he was a boy. He would cook the scraps with a little water and then form them into a hand-made loaf. He saved scraps from our bath soap in a jar, and “made” soap when the jar was full. American pioneers used lye and hog fat to make soap. I may give this a try some day. this is great! Very informative, and I am inspired….thanks a lot! Great website and great discussion! We started soap making some years ago due to my sensitive skin. It solved the problem, and I’ve found I always bring my homebrew soap when I travel now. We’ve always got friends wanting a more soap. 1- Carolyn Stubbin’s book Pure Plant Skincare (ISBN: 0646383183) is an awesome book that gave us hands on technique and recipes, as well as background understanding to soap making. 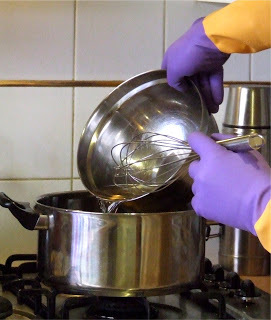 2- The stab mixer saves arm muscles – especially important with pure olive oil soap. 3- The soap reaction continues over the 6 week curing process. We’ve had some spillage while handling the mixture once it traces. We swear, then rapidly wash off the soap mix with water, and then pour vinegar on the spot. This neutralises the lye. Cheap vinegar within easy reach is extremely worthwhile. 4-We use milk/fruit juice cartons, because you simply cut them off and pop into the recycling. There can be some lye in the containers when you go to take the soap out after 2 days. Wear gloves and be careful. Home made soap is a wonderful daily luxury. We tend to make 15L batches at a time as it makes the effort worthwhile. Thanks Anon for the tips and recommendations. I saw your story on the 7pm Project and I happen to be embarking on a similar mission so I thought I’d check out your site. Oh, and for the castille order, if they are ok with it, try doing 95% olive and 5% castor. The castor gives a nicer lather. I also make a vegan lip balm (again, palm oil. grrrr. I’m looking into butters instead) and have recently started on mineral makeup. I’ve just bought a house out in the country and have a hobby room (not quite unpacked yet) for all my little hobbies. I’m playing with making candles at the moment. Thank you for putting your journey online. I expect I’ll learn a lot from you. Hi there,it is all great to hear everyones experiences with soap making,I’m still at the pondering stage,really wanting t start,I have bought my caustic,always have coconut oil on hand,bought two essentials oils,olive oil is always in the house,tried and found shea butter and goats milk powder but way too expensive especially if it doesn’t all work,but what is putting me off is the heating bit making sure the two mixtures are similar and the ratio between the oils and caustic,what if they don’t marry up oils too heavy or not heavy enough has anyone had any dramas with either of these concerns? An Ordinary Australian Man Who Has A Green Epiphany Whilst Watching A Documentary, Gets a Hybrid Car, Plants A Large Organic Vegetable Garden, Goes Totally Solar, Lowers Consumption, Feeds Composts Bins and Worms, Harvests Rainwater, Raises Chickens, Makes Cheese and Soap, and Eats Locally. All In The Effort To Reduce Our Family's Carbon Footprint So We Can Start Making A Difference For Our Children & Future Generations To Come. For all your Cheese, Soap, and Soy Candle supply needs. I've crowed about Gavin's podcast before but I just have to recommend it once again - I love that he shares his learning as well as his successes - it helps the rest of us try try try again! Thanks Gavin! I really enjoy listening to Gavin, he has a kind lovely voice. He covers some great relevant topics for the everyday greenie. With lots of tips or how to or what not to do. Thanks Gavin, love it!! I can highly recommend Gavin’s podcast ! I have followed Gavin’s blog since the very beginning and have loved to see his journey unfold. Gavin has a lovely speaking voice so this podcast is always very easy to listen to. Gavin has a very authentic approach to his green living lifestyle. He shares the ups and downs but always provides motivation and practical steps that we can all implement. This is a great podcast if you want to improve your life in so many aspects and become a more sustainable person. I love the soothing voice, the good pace, and it contains lots of useful information. Recommended! Thanks Gav for sharing what has (and hasn't) worked along your journey for living a greener lifestyle. Inspiring and achievable for anyone, I look forward to this podcast weekly. Another brilliant podcast from Gavin Webber encouraging us, and showing us how, to cut down on food miles, growing our own food, and cutting down on food waste. Gavin is a really interesting speaker, showing us how to eat better, growing our own food and how to live more sustainably. Gavin's podcasts are required listening for anyone planning to live a more sustainable life. He doesn't preach, but tells you his story from the heart. You'll laugh, smile, share in his concerns and along the way you'll pick up some great tips on living a simple life. This is a wonderful podcast. Not only does Gavin talk knowledgeably on a range of sustainability topics from gardening tips all the way to the issues facing humanity as a whole, but he does so in such a wonderful voice, it's like listening to my Dad, love it!! Gav knows how to share his journey to a more sustainable life in a manner that shows just how easy it really is. Not to mention healthier, economically beneficial and generally rewarding. The podcasts are an easy way to absorb Gav's great lifestyle. I recommend to anyone. Great practical advice for a greener lifestyle. This podcast is for anybody interested in growing their own food in suburbia, saving electricity, brewing beer, making cheese, all that wonderful business and most of all, saving money! Thanks Gavin, love the podcast mate! Like you we are having winter here in Chile—brrr! Every bit we can save on heating we will. Excellent podcasts, which are full of information to help get started on a sustainable lifestyle. I highly recommend Gavin's podcast and blog. Down to earth, entertaining and inspirational. Thank you. Gavin & his guests make this green journey lots of fun.